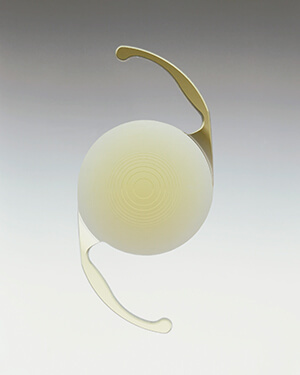 AcrySof® ReSTOR® lens is a foldable IOL that represents breakthrough technology because of its unique, patented optic design, which allows patients to experience the highest level of freedom from glasses ever achieved in IOL clinical trials. The AcrySof® ReSTOR® IOL uses a combination of three complementary technologies: apodization, diffraction, and refraction, to allow patients to experience a full range of high-quality vision without the need for reading glasses or bifocals. This range of vision without glasses is achieved through the optical properties of the IOL. The benefit for patients is a high level of spectacle freedom. Alcon has patented the application of apodization technology to an IOL, making the AcrySof® ReSTOR® lens the first and only apodized diffractive IOL. Discover the innovative features and proven performance of the AcrySof® IQ ReSTOR® IOL, combining the trusted AcrySof® platform with the latest in vision correction technology for cataract patients. Eye care professionals near and far agree: for cataract patients who want to see it all, the AcrySof® IQ ReSTOR® IOL provides presbyopia correction with a full range of vision. Click here to view the process of cataract removal.